The volume brings together forty years of agenda-setting scholarship in Israelite and Judean history. The historical essays gathered here were among the first to raise serious questions about the "patriarchal age", the exodus from Egypt and the conquest of Canaan, and the temple of Solomon. The literary essays on the Pentateuch challenged both the classical Documentary Hypothesis and the more recent modifications that support the notion of an extensive Deuteronomistic redaction of the Pentateuch. The final set of essays examines biblical notions of patriarchal religion, myths of human origin, and the legendary origins of Passover within a broad comparative context. 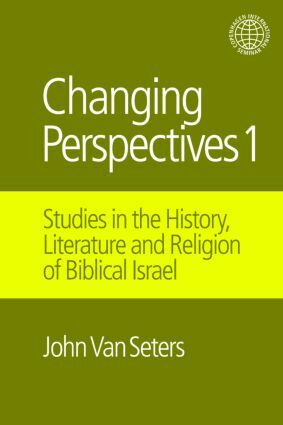 John Van Seters is Professor Emeritus at the University of North Carolina.